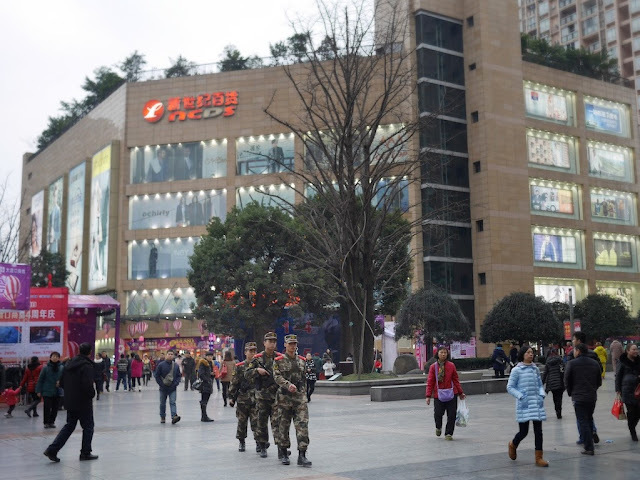 This afternoon near the New Century Department Store in Chongqing's Dadukou district I saw three People's Armed Police marching up and down a pedestrian street. At least two appeared to be armed with large weapons. 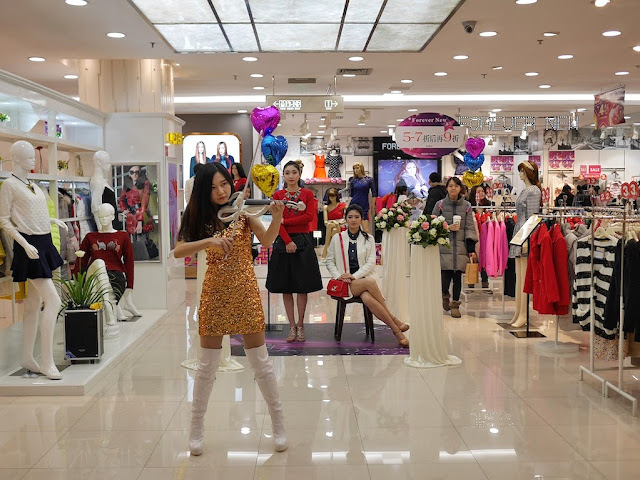 Four minutes later, after stepping off an escalator inside the New Century Department Store I saw two models and a violinist performing music accompanied by a recording. Presumably they were part of a fourth anniversary store promotion. In some ways the two sights couldn't contrast more strongly, especially seeing them so close together. But both touch on themes in China I have noticed and pondered. And both brought to mind many similar things I have seen in China in the past. They don't always come in trios though. "We Had a Whole World"